Kittens are ‘temporarily’ protected against many diseases by antibodies received through their mother’s milk. These maternal antibodies decline in the first couple of months of their lives, however, until they drop sufficiently they can also neutralise vaccines. This is why a series of vaccinations is necessary for a kitten. Initial vaccination programs should provide at least two vaccinations 3-4 weeks apart against some or all of the following; feline panleucopenia, calicivirus, rhinotracheitis, Chlamydophila, and leukaemia virus at or after 8 weeks of age. Three vaccinations, 2-4 weeks apart, against feline immunodeficiency virus (FIV) are recommended at or after 8 weeks of age. It is very contagious and the death rate is high, especially under 12 months of age. 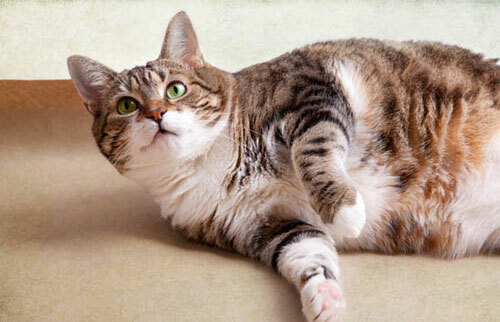 Pregnant cats may lose their young or give birth to kittens with abnormalities, quite often with brain damage. Symptoms are depression, loss of appetite, uncontrollable vomiting and diarrhoea (often with blood in it), and severe abdominal pain. Feline respiratory disease affects cats of all ages, especially young kittens, Siamese, and Burmese cats. It is highly contagious and causes sneezing, coughing, runny eyes, nasal discharge, loss of appetite, and tongue or eye ulcers. Kittens are more severely affected by Chlamydia when also infected with “Cat Flu”, and Chlamydia can be shed for many months. Vaccination against cat flu and Chlamydia helps protect against clinical disease. The virus attacks the immune system and may be associated with lack of appetite, weight loss and apathy, pale or yellow mucous membranes, vomiting, diarrhoea, reproductive problems, increased susceptibility to other infections, leukaemia, and tumours. Many cats may be infected and show no signs at all. About one third of infected cats remain chronically infected and may shed virus in their saliva, tears, nasal secretions and urine. The disease is then spread to uninfected cats by mutual grooming, fighting, sneezing, or even flea bites. FIV is almost always transmitted by bites from infected cats. The virus that causes the disease is present in saliva. While some infected cats show no sign of disease, others may display initial symptoms such as fever, loss of appetite, diarrhoea, lethargy, and swollen lymph nodes. As the disease progresses, symptoms may occur such as weight loss, sores in and around the mouth, eye lesions, poor coat, and chronic infections.Eventually, the immune system becomes too weak to fight off other infections and diseases. As a result, the cat may die from one of these subsequent infections. Unfortunately, in Australia, a lot of cats are infected with this virus. Since animals can live over 10 years with this virus and show no symptoms, it is important to have your cat tested and vaccinated if they spend any amount of time outside coming in contact with other cats.